*stumbles into the blogosphere* Phew! What a week, what a day, what a… *looks at calendar* Is it really March 15th already? How is that possible? My goodness! Time definitely flies. Well, I guess this means it’s time for me to announce a few things. In my last blog post, I told you I would announce the title of book 4. I will, but first, I have another announcement, too! Tw o of my three books are on sale this week! A Mighty Fortress is $0.99 from March 16-23. Be Thou My Vision is FREE from March 16-20! And if you haven’t gotten in on the preorder of Amazing Grace, that ebook is available for $3.99. This sale is in conjunction with some other authors from the Clean Indie Reads Facebook group and you can find more books from Free-$3.99 at this link. I’m super excited about the opportunity to share my books with more people and if you have already read either of my published books, would you consider doing one of two things? 1. Write a review on Amazon. 2. Sharing the sale with your friends, even if they don’t normally read Westerns. I’ve had at least two people say something to the effect of, “I don’t usually read Westerns, but I really liked Faith’s book(s).” Thank you! 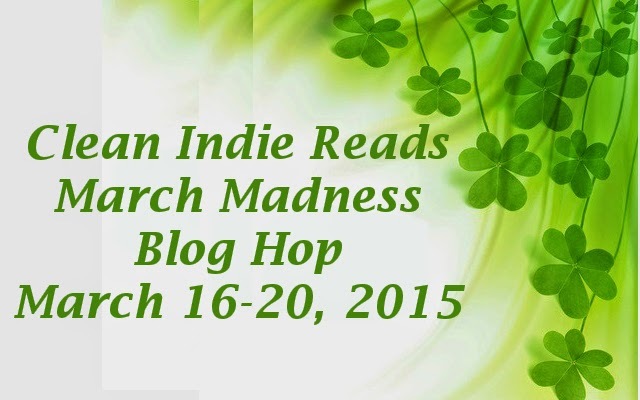 This blog post is part of a blog hop and giveaway. If you would like to check out the other blogs and enter the giveaway for a years worth of books (one per week), check out the end of the post. I am still working on rewriting the rough draft, but as you can see on the progress bar to the left, I am approximately halfway through that. I hope you are as excited as I am. Love all the titles based on great hymns! Faith, thanks for your help on the sale and blog hop! Good luck!! I stopped by to visit and wish you well this week. Thank you, Holly! 🙂 I’m glad you liked them! You’re welcome! Thank you, Shanna! I can’t wait to hear what you think of them. I love the new title!! I didn’t even know Amazing Grace was coming out, I was looking up your books last night and saw it and it made me happy. Thank you, Jack! 😀 Aww! That is so sweet! The name of your newest title is great! Sounds like you’re making some great progress on it, too! I love contemporary worship music, but there are some great old hymns! Your books one through three are named for some of my favourites 🙂 All the best with writing book four! Awesome! They happen to be some of my favorites as well.